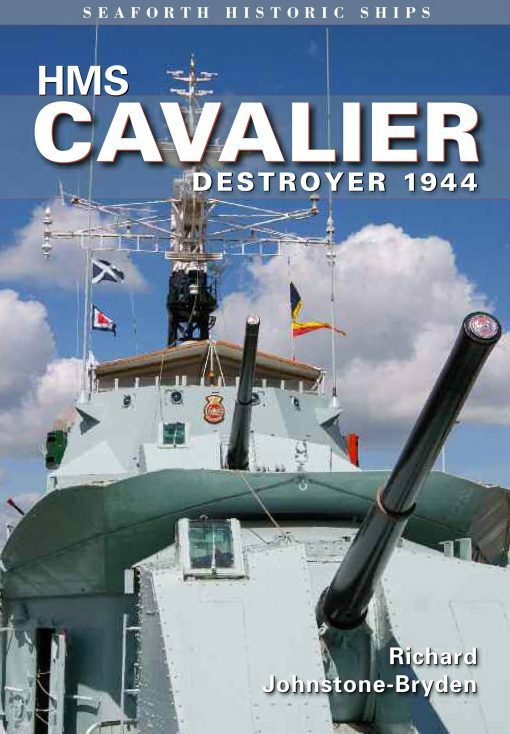 HMS Cavalier is much altered from her original configuration of 1942 , but is now a wonderful example of an RN warship of the 1960’s period and this book does her full justice . The photography , particularly of the interior is superb, both in quality and coverage . HMS Cavalier is a C -Class destroyer, one of 96 War Emergency Programme destroyers that were ordered between 1940 and 1942. She saw action on convoy duty off Russia, and later, in 1945, was sent to the Far East where she provided naval gunfire support during the battle of Surabaya. She continued with the British Pacific Fleet until May 1946. Now designated as a war memorial to the 142 RN destroyers and 11,000 men lost during WWII, she is on display at Chatham Historic Dockyard. As is the case for many museum ships there is a surprising shortage of informative and well illustrated guides, for reference during a visit or for research by enthusiasts – ship modellers, naval buffs, historians or students. This book, in the Seaforth Historic Ship series, redresses the gap. Containing more than 200 specially commissioned photographs, the book takes the reader on a superbly illustrated tour of the ship, from bow to stern and deck by deck. Significant parts of the vessel for example, the gun turrets and engine rooms are given detailed coverage both in words and pictures, so that the reader has at hand the most complete visual record and explanation of the ship that exists. In addition, the importance of the ship, both in her own time and now as a museum vessel, is explained. No other book offers such superb visual impact nor brings the ship so vividly to life.